Operating in around 170 countries, the United Nations Development Programme (UNDP) is one of the world’s largest multilateral development agencies and aims to eradicate poverty. The UNDP became an IATI member and first published to the IATI Registry in November 2011. Since 2013, UNDP has co-hosted the IATI Secretariat as part of a consortium with Sweden, UNOPS, Ghana and Development Initiatives. Due to a methodology change after 2016, results are not directly comparable with 2018. UNDP has maintained its ‘very good’ aid transparency levels. UNDP publishes on a monthly basis to the IATI Registry. It publishes all indicators in the IATI format and performs well on almost all indicators. UNDP is among the top five performers for all components of the Index, ranking second for finance and budgets, performance-related indicators, as well as project attributes. While performing well in the overall components, there is still room for improvement for project budgets, results and reviews and evaluations, as well as for contracts, and tenders. UNDP should focus on improving its publication of detailed project budgets, project procurement information, as well as project reviews and evaluations. To demonstrate the impact of transparency on development work, UNDP should take responsibility to promote the use of the data they publish: internally, to promote coordination and effectiveness; and externally, to explore online and in-person feedback loops, including at country-level. This component looks at the overall aims and strategy of an organisation. We check for any public commitments to aid transparency. We also make sure audits are in place and if planning documents have been published, including by parent organisations (including national governments) where applicable. We make note of any Freedom of Information laws and critically, we make sure that organisations have tried to make their information easy to access and understand. You should not have to be an expert in open data to be able to find and use this information. The definition used in the Global RTI Rating is that it has to be a law in the strict sense. It must include the right of access to information, this right has to be enforceable and there must be compliant, court and high court appeal possibilities. Decrees are included if they meet the same standards. In addition, the FOIA must be in use for at least the executive part of the government; therefore, FOIAs which are only adopted, approved or still in draft form are not counted. For multilateral donors, international finance institutions (IFIs) and private foundations, a disclosure or transparency policy is accepted as equivalent to a FOIA. Publish What You Fund completes an assessment of the quality of these disclosure policies based on the overarching approach taken in the Global RTI Rating. The overall accessibility of aid information through the organisations’ portals, project databases or searchable data sources. These are scored using three criteria: 1) the portal allows free, bulk export of data; 2) it contains detailed disaggregated data; 3) the data is published under an open licence. The same data source is used for all three checks. Further details on the methodology for this indicator are available in our Technical paper. An overarching strategy document explains the general approach and policies of the organisation towards international development. This should be forward looking. The IATI reference for this indicator is: Institutional strategy paper (document code = B02). Annual reports outline basic (normally aggregate) information about how aid was spent in the previous year, broken down by sector and/or country. This should be backward looking. The IATI reference for this indicator is: Annual report (document code = B01). Aid allocation policies are the detailed policy documents by which the organisation chooses where to spend its resources, i.e. on particular countries or themes. Relatively general documents or web pages outlining which countries, themes and institutions the agency will fund are accepted, as long as this is forward-looking and not wholly retrospective. The IATI reference for this indicator is: Aid allocation policy (document code = B04). For organisations such as IFIs and private foundations, which do not have an “aid allocation” policy, equivalent documents are accepted; for example, “investment strategy/policy” or “grant-making policy”. An organisation’s procurement procedures explain the process used to tender and contract (invite bids for) goods and services. This must fully explain the criteria on which decisions are made, and could be in a single procurement policy document or attached to each tender. The IATI reference for this indicator is: Procurement policy and procedure (document code = B05). For IFIs, which are often demand-driven, this is understood as their investment policy. For private foundations, this is their grant-making policy. For this indicator country strategies and MoU’s are taken together. A country or sector strategy will be accepted. Where one cannot be found, an MoU signed by the donor organisation and recipient country government will be accepted. A country strategy paper sets out the organisation’s planned approach and activities in the recipient country. For it to be accepted it needs to be a detailed document, rather than just a paragraph on the organisation’s website. The IATI reference for this indicator is: Country strategy paper (document code = B03). A Memorandum of Understanding (MoU) is a document that details the agreement usually between the organisation and recipient government for the provision of aid in the country. The IATI reference for this indicator is: Memorandum of Understanding (document code = B13 or A09). The organisation’s annual audit of its activities is an official inspection of the accounts and activities of this organisation, typically by an independent body. Audits up to date with regular audit cycles are accepted, i.e. if the organisation publishes biennial audits, the most recent document within this time frame is accepted. The IATI reference for this indicator is: Institutional audit report (document code = B06). A formally approved audit of annual accounts is required to score on this indicator. Audits conducted by official government agencies such as State Audit Offices or Controller General Reports are accepted for this indicator. This component is critical to allow you and anyone else to follow the money. We expect to find the total budget of the organisation being assessed, right down to individual transactions for each development activity. In particular, forward-looking budgets from donors are important for partner country governments to be able to plan their own future finances. The organisation’s annual forward-planning budget for assistance is the disaggregated budget that the organisation or agency will spend on different countries, programmes and institutions where it will be active, for at least the next three years. The figure could be indicative. Aggregate budgets of between 2–3 years are scored the same as 1-year forward budgets. The IATI reference for this indicator is: Annual forward planning budgets for recipient countries (recipient-country-budget). Both country budgets and thematic budgets are accepted for organisations that prioritise their work by countries. Projected figures disaggregated along thematic and sectoral priorities, at a near similar level of detail to total organisation budgets are accepted. IFIs and DFIs sometimes publish “road maps”, which contain this information. The budget of the activity is the breakdown of the total financial commitment to the activity into forward-looking annual and quarterly chunks. The IATI reference for this indicator is: Budget or Planned Disbursement. This is a specific budget detailing what the intended spending is for the different lines of the individual activity. It is often a document published on the organisation’s website. Budget documents cannot simply be at the country level. If an activity budget is included in a larger country-level document, it is only accepted if the budget for the activity is broken down line by line. The IATI reference for this indicator is: Budget (document code = A05). For organisations where budget documents might be considered commercially sensitive, documents with redactions of the commercially sensitive pieces of information are accepted. These must include the specific reasons for the redactions and must clarify why the information is commercially sensitive and would cause material and direct harm if published. This refers to the financial commitment for the activity as a whole for the lifetime of the activity. This is generally a high level commitment rather than a detailed breakdown of the activity budget. The IATI reference for this indicator is: Transaction (transaction type = commitment). Individual actual financial disbursements must be related to individual activities and must be on a per-transaction basis. Each activity is likely to have several transactions. The IATI reference for this indicator is: Transaction (transaction type = disbursement and expenditure). This indicator captures the percentage of the total commitment allocated to or planned for capital expenditure. Content must be a positive decimal number between 0 and 100, with no percentage sign. The definition of capital expenditure follows the IMF GFS definition approved by WP Stat in February 2016. Capital spending is generally defined as physical assets with a useful life of more than one year. But it also includes capital improvements or the rehabilitation of physical assets that enhance or extend the useful life of the asset (as distinct from repair or maintenance, which assures that the asset is functional for its planned life). Capital includes all aspects of design and construction that are required to make the asset operational. The IATI reference for this indicator is: capital spend. The total organisation budget is the total amount that the organisation will be allocated by the government or its funders per year for the next three years. This is money going to the organisation and can be indicative. Aggregate budgets of between 2–3 years are scored the same as 1-year forward budgets. IFIs and DFIs do not have budgets allocated to them as traditional donor agencies do. In many cases, total budgets are established annually, once total financial figures of all investments are taken into account. However, they do have projected total spend figures that they sometimes publish. If published, these projected figures are accepted for this indicator. Similarly, for private foundations and humanitarian agencies, indicative figures of available funds are accepted. This component refers to descriptive, non-financial data, including basics like the title and description of a project. Information like this is important as it is often the entry point for data users to quickly understand what a project is about. We also look for other information that helps to put a project in context, such as its sub-national location (rather than simply being pin pointed to a capital city or the centre of a country) or the sector that the project deals with, for example, education or agriculture. The title of the activity is its name. This is preferably the formal name of the activity, but does not have to be. The title needs to be complete with any abbreviations or acronyms explained. Titles need to contain at least 10 characters. The description of the activity is a descriptive text, longer than the title, explaining what the activity is. The description of the activity needs to contain a minimum of 80 characters in order to be considered a description rather than just a title. The planned dates are the dates that the activity is scheduled to start and end on. If there is one set of dates but they are not explicitly planned or actual dates, given that these are for activities which are current (i.e. being implemented at the time of data collection) it is assumed that they are planned dates. The IATI reference for this indicator is: Activity date (activity date type = start-planned and end-planned). Both month and year are required to score on this indicator in recognition of recipient countries needing to be able to map activities to their own financial year rather than the calendar year. If the activity has started or has finished, the original planned start and end dates must be retained in addition to the actual dates in order to score on this indicator. These are the dates that the activity actually started (and ended on, if the activity has finished). If there is only one set of dates but they are not explicitly stated as planned or actual dates, then it is assumed they are planned dates. Actual dates are accepted where specific events occurred, e.g. the date the project/programme agreement is signed, a board presentation or an appraisal date. The IATI reference for this indicator is: Activity date (activity date type = start-actual and end-actual). This shows whether the activity is currently under design, being implemented, has finished or has been cancelled. The IATI reference for this indicator is: Activity status. This shows who can be contacted in relation to this activity. This does not have to be the contact information for an individual or project manager and could refer to a central contact or information desk. Contacts for either the funding organisation or the implementing organisation were accepted. This has to be stated alongside the activity or on an obvious “contact us” link alongside the activity. The sub-national geographic location is information about where the activity is located within a country. This may be a province or city, or it could be geo-coded (whereby the precise longitude and latitude is published). It needs to be stated separately and explicitly. The IATI reference for this indicator is: Location. For activities that are relevant at a country or regional level, information on the location where the funds are sent to or where the recipient is located are all accepted for this indicator. For example, capital city for a country, or location information of the implementing organisation. This includes private sector investment, loans or debt relief payments, where the location of the relevant bank or organisation is accepted. The implementer of the activity is the organisation that is principally responsible for delivering it. The IATI reference for this indicator is: Implementing organisation (participating-org role = implementing). The activity identifier is a unique reference ID for the activity, e.g. a project number. It allows an activity to be referred to and searched for by a code, which can be used to retrieve the project from a database or filing system. The IATI reference for this indicator is: IATI identifier. This component looks at how well a donor’s data is able to be linked and connected with other bits of information. There is a diverse nature of flows, activities and actors within the development sector. Aid and development finance data needs to be effectively linked and connected with the rest to provide a full picture for the user. This can be particularly important for partner country governments, who need to integrate information on aid with their own budgets and systems. 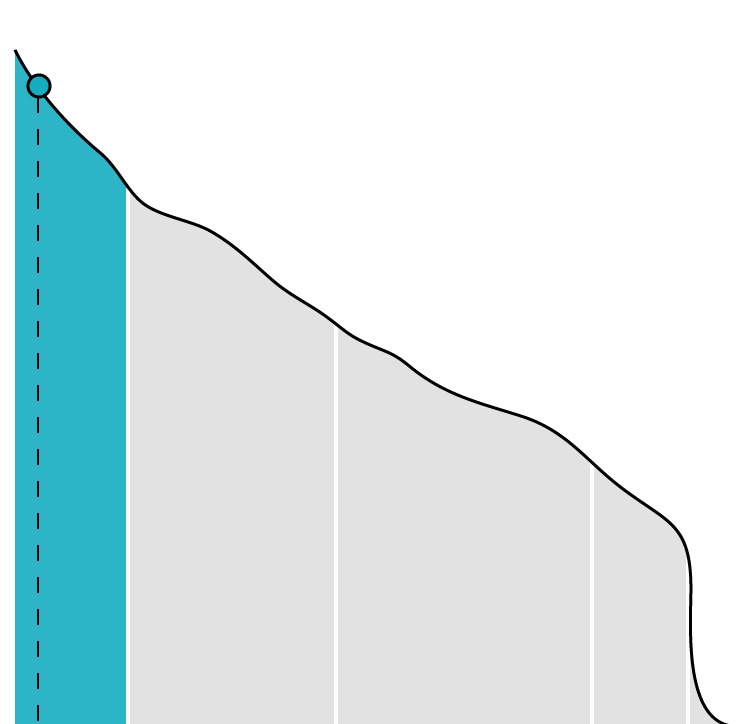 The flow type shows whether the organisation states that this activity counts as ODA, OOF, climate finance or any other type of flow. This has to be explicitly stated per activity OR once in a country strategy paper OR in a single place on the organisation’s website if there is only one flow type for all activities, e.g. “all aid is ODA”, or “we only provide private grants”. The type of aid shows whether the activity is classed as budget support, a project, technical assistance, debt relief, administrative costs, and so on. This needs to be explicitly stated per activity OR once in a country strategy paper OR on a clear place on the organisation’s website if there is only one aid type for the whole organisation, e.g. “all aid is project-type interventions”. The type of finance shows whether the activity is a grant, loan, export credit or debt relief. This needs to be explicitly stated per activity OR once in a country strategy paper OR clearly on the organisation’s website if there is only one finance type for the whole organisation, e.g. “all aid is grants”. The tied aid status shows whether the organisation states that this activity counts as “tied” (procurement is restricted to the donor organisation country) or “untied” (open procurement). Specifying location requirements in activity documents such as procurement policies or tenders is accepted as publishing tied aid status. The IATI reference for this indicator is: Default tied status. For organisations’ lending directly to national investment agencies, an explicit statement demonstrating their aid is not tied is required. For IFIs and DFIs, investment codes clarifying their position are accepted. For private foundations, grant-making policies are accepted. If these are not available, the organisation’s procurement policy must clearly state if there are any eligibility requirements for contracts based on country of origin. The terms and conditions of the activity may also be referred to as benchmarks, priors, or involve words such as “subject to…”. They are specific to an individual activity and explain what the recipient must do in order to be eligible for the funds to be released. The conditions should include loan repayment terms if the activity is financed by a loan. The IATI references for this indicator are: Conditions and/or Conditions document (document code = A04). For IFIs and DFIs, this includes loan repayment conditions or special terms and conditions. In cases where the loan repayment terms are considered commercially sensitive, this information can be redacted. The reason for the redactions needs to be explicitly stated in detail and must clarify why the information is commercially sensitive and would cause material and direct harm if published. For private foundations and humanitarian agencies, statements setting out what the grant can be spent on are accepted. Templates for general terms and conditions are not accepted for scoring this indicator. If there are no policy, performance or fiduciary conditions associated with an activity, this must be explicitly stated. The individual contract(s) signed with a company, organisation or individual that provides goods and services for the activity. This could be on a procurement section of the organisation’s website, on a separate website or on a central government procurement website. Contract documents cannot simply be at the country level. If an activity contract is included in a larger country-level document, it is only accepted if the contract mentions the activity specifically and in detail. Basic information about the activity contract is accepted if it contains three of the following five information items: awardee, amount, overview of services being provided, start/end dates, unique reference to original tender documents. The IATI reference for this indicator is: Contract (document code = A11 or A06). In cases where organisations consider such information to be commercially sensitive, sections within the contract can be redacted but the reason for the redactions needs to be explicitly stated. Tenders are the individual contracts or proposals that have been put out to invite bids from companies or organisations that want to provide goods and services for an activity. They may be on a separate website, possibly on a central government procurement website. The IATI reference for this indicator is: Tender (document code = A10). This component refers to the essential data and documents that assess whether a project is on track or has been achieved. This includes things like baseline surveys, progress against targets, mid-term reviews and end of project evaluations. This information is important to hold donors to account and also to share knowledge with others on what worked and what did not during a project. The objectives or purposes of the activity are those that the activity intends to achieve. The IATI reference for this indicator is: Objectives / Purpose of activity (document code = A02) or Description (description type = 2). The objectives need to include the detailed description of the activity, the target sector/group and expected outcomes. Pre-project impact appraisals explain the totality of positive and negative, primary and secondary effects expected to be produced by a development intervention. Environmental impact assessments as well as impact assessments that explain what objectives the project itself intends to provide are accepted. The IATI reference for this indicator is: Pre and post-project impact appraisal (document code = A01). For loans or private sector investment, risk assessments and the fiscal objectives detailed in the loan document are accepted. These need to be sufficiently detailed and include any criteria used to assess eligibility for receiving the loan. Humanitarian Implementation Plans (HIPs) and project plans are accepted for humanitarian agencies. Evaluation documents consider what the activity achieved, whether the intended objectives were met, what the major factors influencing the achievement or non-achievement of the objectives were and an assessment of the impact, effect and value of the activity. This information may be on a specific evaluation section of the organisation’s website. If the activity under assessment is not completed but evaluation or review documents are available for other completed activities, these will be accepted. The IATI reference for this indicator is: Review of project performance and evaluation (document code = A07). Organisations can score on this indicator as long as they publish review documents that meet the definition of the indicator. The results show whether activities achieved their intended outputs in accordance with the stated goals or plans. This information often refers to log frames and results chains and may be within a specific results or evaluation section of the organisation’s website. The IATI references for this indicator are: Result and/or Results, outcomes and outputs (Document code = A08).